It was a wickedly hot and humid day…sounds like the beginning of a weird novel. 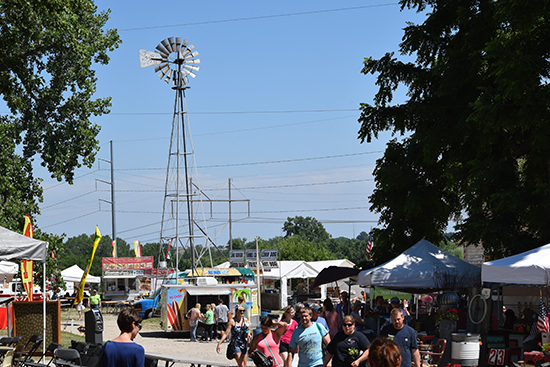 Unfortunately, it was the weather vendors and shoppers had to deal with on Sunday, June 26th at the summer edition of Junkstock. 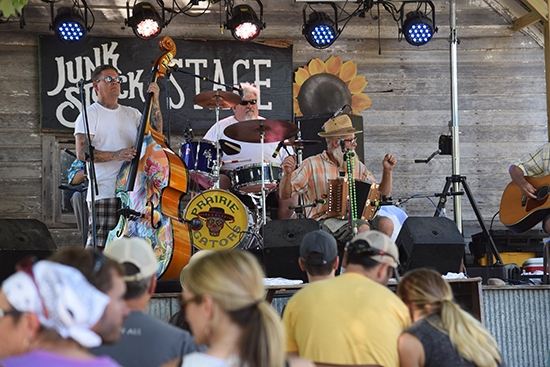 Junkstock is in its fifth year, and has grown each time it has been held. It is an outdoor event, held in the summer and fall, with a special birthday edition this past spring. 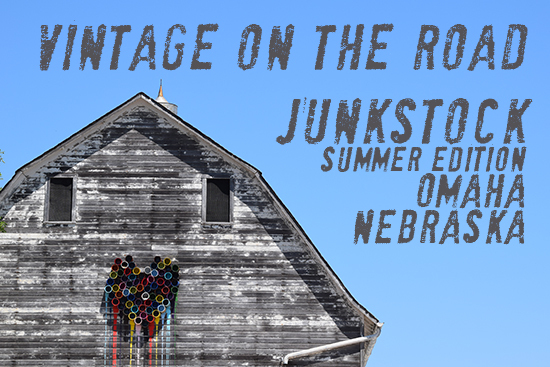 This was the last year for the event to be held at an old dairy farm West of Omaha, but there is a new home for it starting with the fall 2016 show. 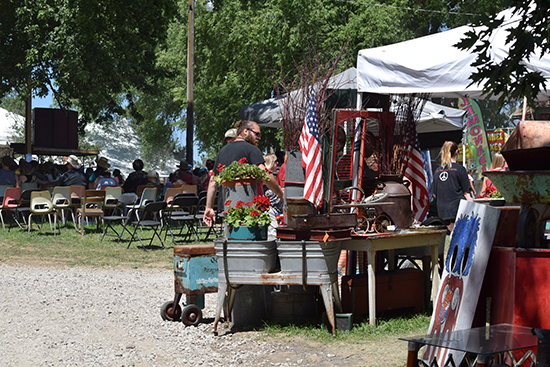 As with any outdoor event, vendors can expect any of the four seasons Eastern Nebraska has to offer. 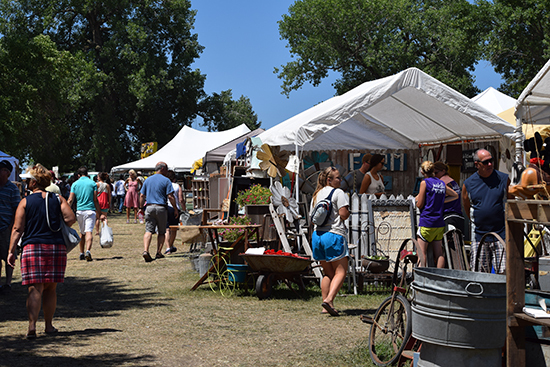 In the case of last fall’s show, which I was proud to have had a booth at, we saw our frosty breath the first morning, and sweat ourselves soaked during take-down on Sunday night. I have crazy respect (and a twinge of jealousy) for the folks who do the show circuits all year long. They have to be prepared to deal with everything! I have been to a lot of vintage festivals, and need to start logging my experiences. There’s none better to start with than my favorite. 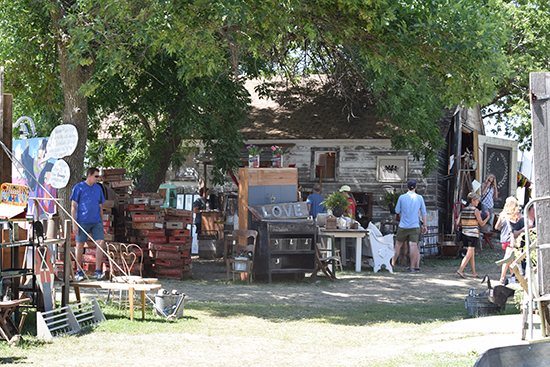 This is probably my 7th Junkstock to attend, counting the one I sold at, and the vibe is always above many of the other group antique shows. I took a few shots as we trudged through the thick summer humidity. 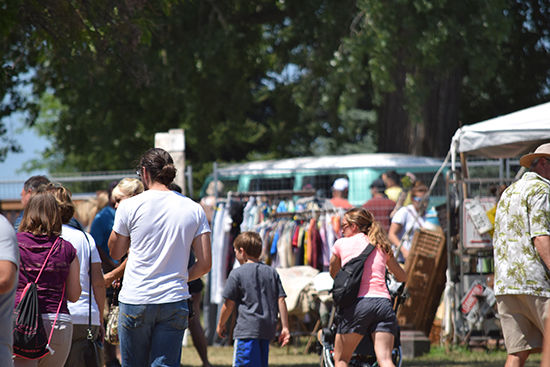 A combination of work and family obligations meant we could only go at the end of the last day, which was good for photos, as the corridors of tents are normally thick with folks searching for that perfect thing to collect from one of the 190 or so vendors. 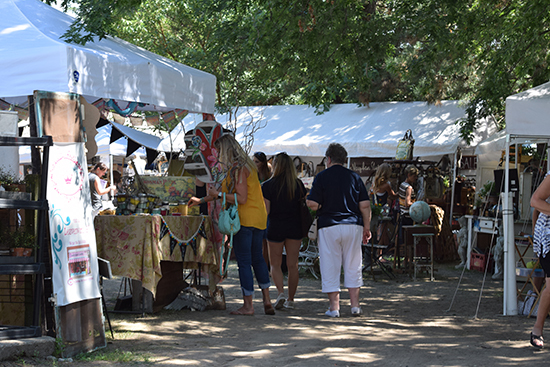 The displays are always carefully assembled, with some dealers offering specific lines of items, such as hand crafted candles, sewn bags and purses, and jewelry. 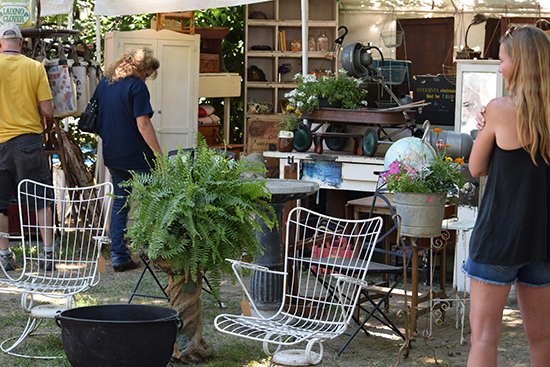 Others offer a hodge podge of vintage goodies from nice antiques to rusty crusties for the garden. I even saw a real stuffed bear there once. Sometimes, a little whimsy is called for. 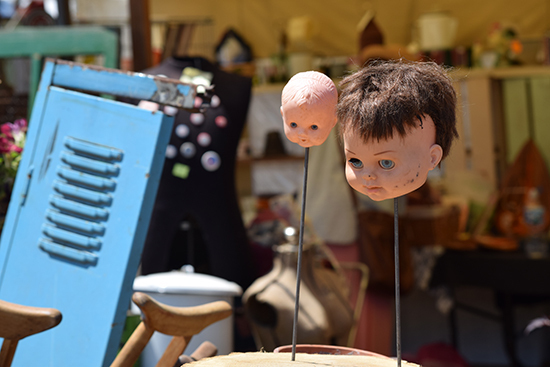 Babydoll heads on a pike; look for them in this fall’s home decor magazines! 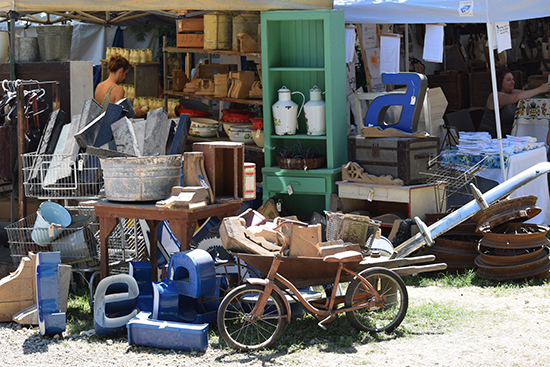 There are larger pieces, too, some as-found, some painted and re-purposed for new life. This is the type of place that’s made for food trucks. It was late afternoon and it was hot, so, at the suggestion of my bestie’s 7 year old daughter, we stopped for snow cones from Kona Ice. Cherry limeade flavor. I haven’t eaten a snow cone in ages, the day was made for them, though. More objects de’art, big and small. I need a double barrel wash tub in my life. I only have a single tub. I also need a garden. As usual, the event was enjoyable, well organized, and thoughtfully curated. I’m not just saying that because my application for the fall show is still pending approval. 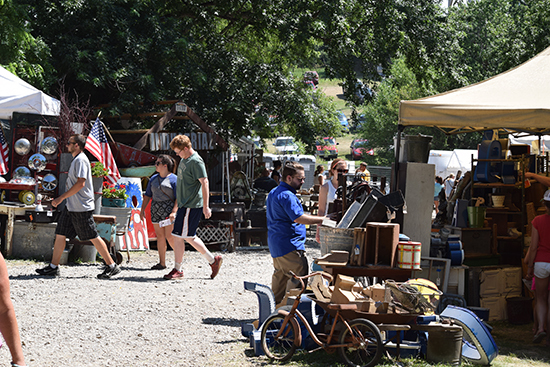 The fall show will be at a new home, at Sycamore Farms, not far from the old location, on October 7, 8, & 9, 2016. I hope to see you there!